Recognizing the need for a local manufacturer of sound control products, Niagara signed a license agreement with Commercial Acoustics in 2002. This agreement provided NIAGARA with the technology transfer and training to locally manufacture fan silencers, acoustic louvers and other acoustical products. 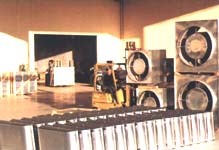 Commercial Acoustics helps you make sound decisions with superior quality acoustical products. Sound attenuators are manufactured in many varieties, module sizes and materials; and engineered for commercial and industrial applications, including hospital and clean room systems. 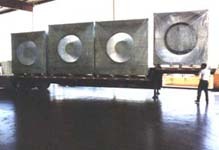 Sound attenuators are independently tested by ETL Testing Laboratories and the University of Nevada, Las Vegas (UNLV) in accordance to ASTM E477. 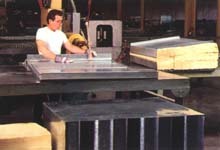 Commercial Acoustics is a division of Metal Form Manufacturing Company based in Phoenix, Arizona USA which was founded in 1967. 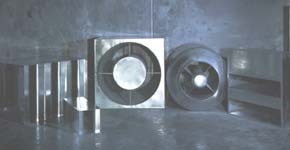 Metal Form manufacturing Company has over 35 years of proven performance in manufacturing products and packages for HVAC and sound reduction application.